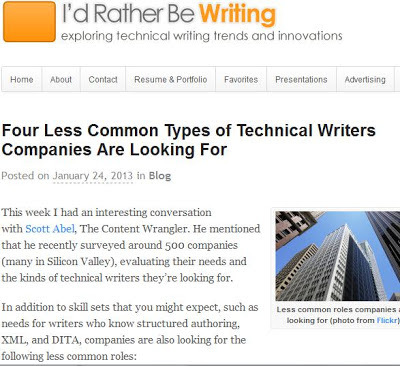 Tom Johnson's I'd Rather Be Writing's: "Four Less Common Types of Technical Writers Companies Are Looking For"
Tech writer Tom Johnson spoke with someone interviewing Silicon Valley companies about the technical skills they will need, which remain somewhat uncommon. 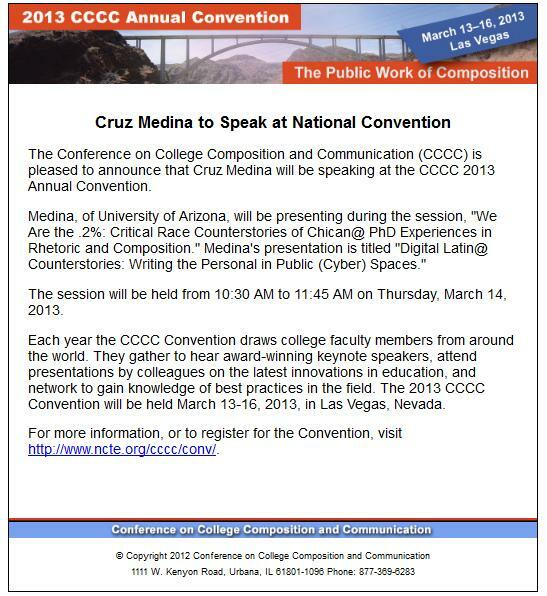 Because of my interest in digital storytelling, of course I was interested by "Writers who can create instructional video content"--the skill acquired through digital video editing, scene-sequencing, and narration transfer over to this kind of tech communication. In addition, my interest stems from an upcoming edited collection on the intersection of race and technical communication in which I have a chapter on the use of Twitter by Latin@ students as a response to the growing attention of the Latin@ marketplace. More on that collection later! Technical writers who can write documentation for APIs and SDKs. Technical writers who can write with brevity for mobile devices. Technical writers who can create instructional video content. Technical writers who can interact with the community about products. Online Courses Hurting Students of Color Most?